John K. Whitehead & Associates provides coaching on Leadership and Personal Development. 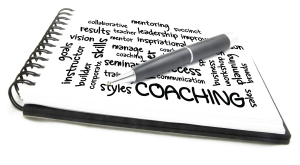 “Coaching is a development partnership, based on the shared responsibility between a coach and an individual. It is not a simple hand-off or transfer of knowledge, but a relationship focused on developing people’s capabilities” (Sheppard, Canning, Mellon, Anderson, Tuchinsky & Campbell, 2006). “coaching is as much about the way things get done as about what is done” (Whitmore, 2009). Top athletes, top musicians, and top performing artists all have coaches. Leadership is also a performing art, and the best leaders also have coaches. The coach might be someone from inside or outside of the organization. This person might be a peer, a manager, a trainer, or someone with specific expertise in what you are trying to learn. Coaches can play a number of roles. The most obvious is to watch you perform, give you feedback, and offer suggestions for improvement. But effective coaches can also be a very valuable source of social support, which is essential to resilience and persistence. Support is especially important when people are being asked to change their behavior. When you return to work after training, your initial enthusiasm can be quickly crushed if there is no one around to offer words of encouragement. Every leader needs someone to lean on from time to time. Your coach should be able to offer you not only advice but also attention and caring. The best coaches are good listeners. In fact, they watch and listen about twice as much as they teach and tell. Excerpted from the Leadership Practices Inventory Planner, 4th edition, James M. Kouzes and Barry Z. Posner, © 2013, published by Pfeiffer/An imprint of Wiley.